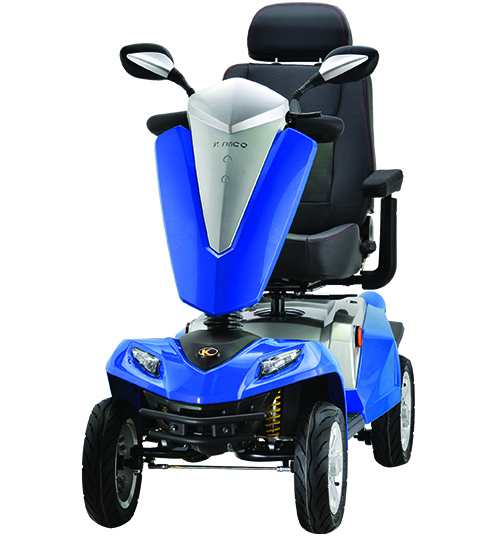 The Heartway S21A is an automatical folding mobility scooter, often also referred to as travel scooter or portable scooter, it is the latest in folding mobility equipment and is our newest edition to our travel range. 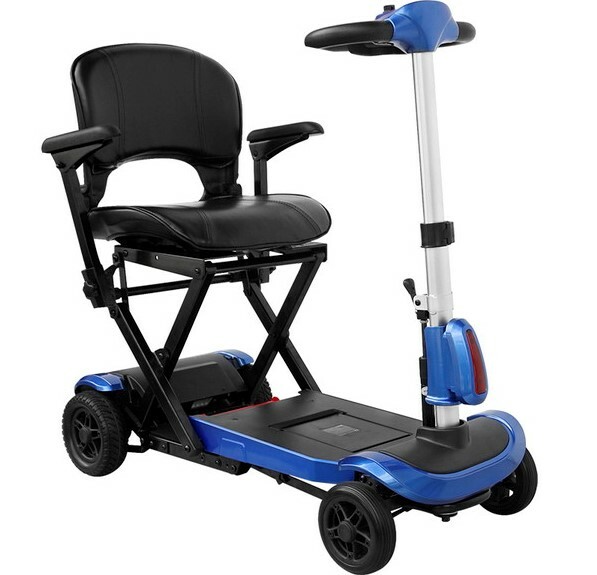 This compact lightweight mobility-scooter folds automatically at the push of a button in seconds and is amongst the lightest of is kind on the market. 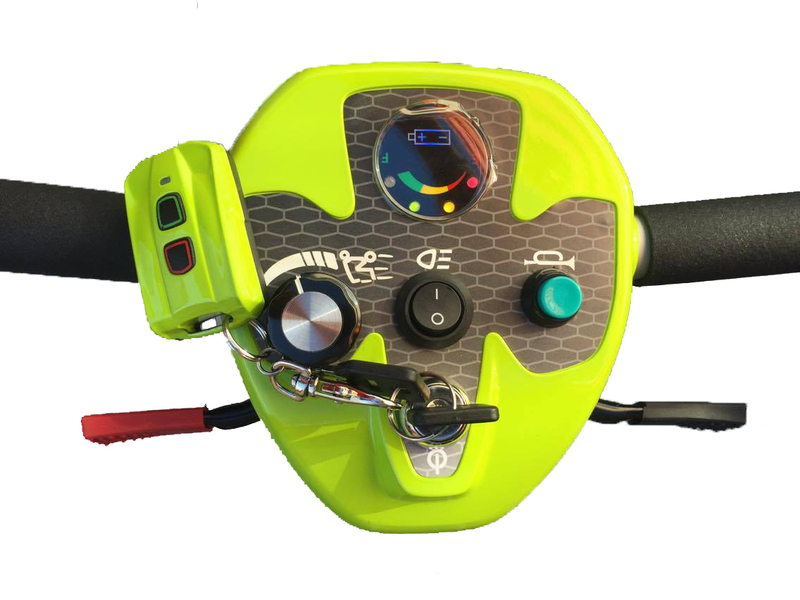 The Scooter can be folded using 2 different ways, either by pushing the easy to use key-chan remote or by using the buttons at the rear. 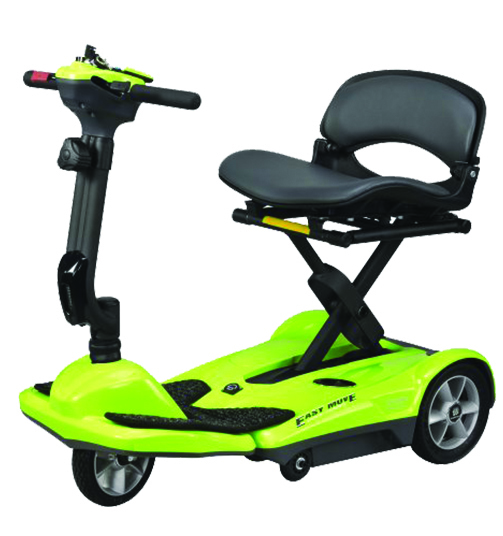 There is also a safety feature wich allows the scooter to be easily charged when folded. With a total weight of just under 19kg and 17.5kg with removed batteries, it is the ideal travel companions for all your travel needs and wants. You can quickly and effortlessly put it in the boot of your car to go shopping or visit large events such as exhibitions or theme parks. 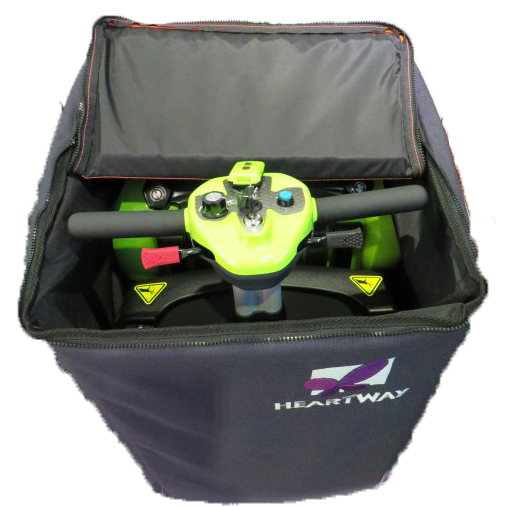 But unlike many other travel scooters, the Heartway Easy Move is also ideally suited for travel by air and sea. 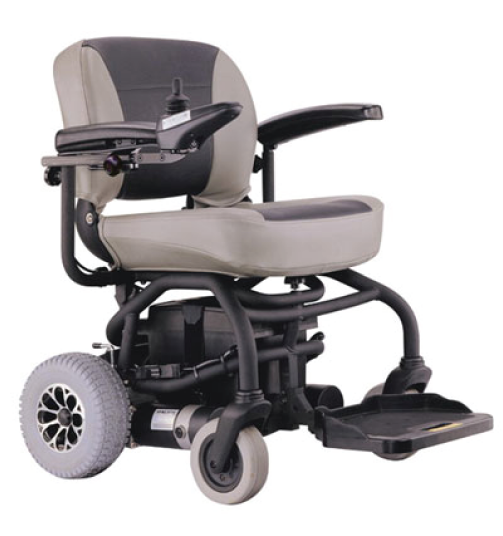 Best of all most airlines won't charge an additional fee when travelling with mobility equipment. 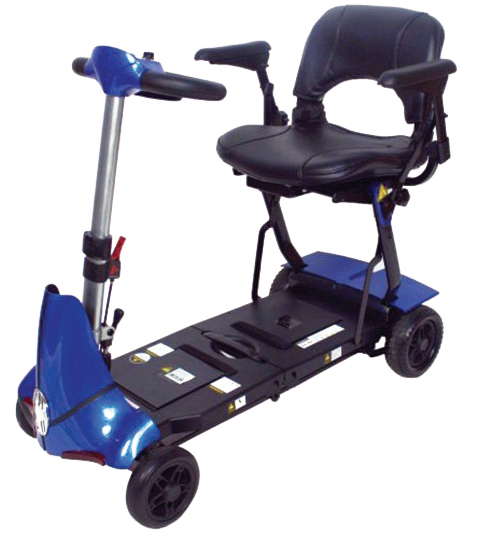 You can ready more about travelling with Mobility Scooters here or read more below. 3. If required forward any additional information to either your travel agent or to the airline directly. 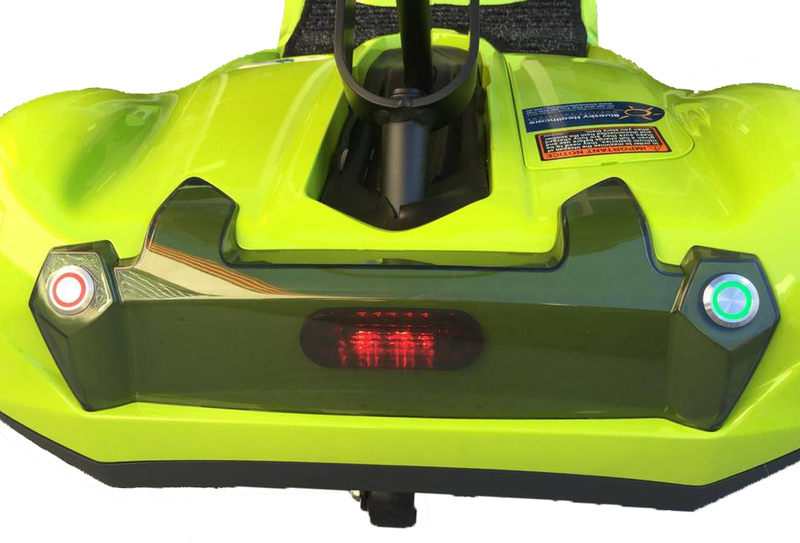 This is a good time to find out if you will have to remove the battery pack from your scooter when checking it in. If so, make sure you prepare for it and organise a separate bag or backpack that can easily and comfortably accommodate the battery while travelling. 5. At the Airport - Proceed to the check-in, as usual, you may now be asked to remove the battery pack from the scooter if you haven't done so already. After this has been done, you can store your travel-scooter in it's travel case (if you have one). The scooter will be checked into the cargo hold of the aeroplane along with your other luggage, depending on the airline regulations you may have to carry the battery with you as hand luggage. 6. After the Flight - Make sure you check for any damages and report them immediately at the counter in the baggage claim area of the airport.